The Inspired Bride team will be going to the Dominican Republic for a week and we thought it’s only fitting to do a weeklong feature on destination weddings! To start off the week, we’ll tackle the differences between having a destination wedding and having a traditional wedding. The idea of not having your whole family and some friends there is just unimaginable to you. 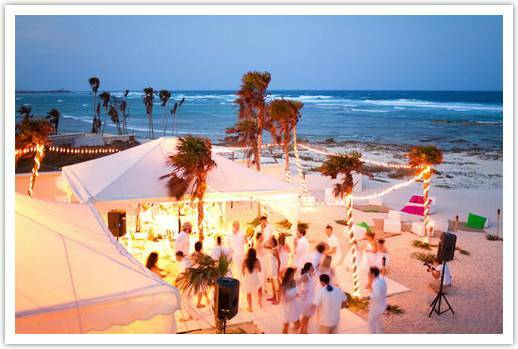 Whether you’re considering on having a destination wedding or a traditional wedding, it all comes down to one thing. The wedding is the celebration of your union and the way you choose to celebrate it will depend on how you have always imagined your wedding to be (of course with your fiancé’s input as well). The idea of going away for a wedding seems great! I for one considered having a destination wedding at one point but I’ve always dreamed of having a wedding surrounded by family and friends. I simply can’t imagine not having them there on our special day. Looking back, I can honestly say that they were a big part of our wedding Another reason why we opted to having a traditional wedding was because I as a bride took on the role of being my own wedding planner and enjoyed every minute of it. There were so many ideas and details that I felt wouldn’t be possible if I left it in the hands of people who are miles away from me. Yes, call me obsessed, but this is one day where I wanted my visions to turn out exactly the way I always imagined it. Inspired Bride would love to hear your take on this topic of whether to choose a destination wedding or have a traditional wedding. Proms & Weddings is a professional wedding dress manufacturer located in Sweden. We offer variety of elegant wedding dresses, accessories ball gowns, evening dresses, shoes, prom dresses in different styles. The fabrics we use are satin, chiffon, organza, etc. We sell brands including Atelier Diagonal by Pronovias, Jim Hjelm and Aspera . Our company is dedicated in supply you the best products with the lowest prize. I’d go for a traditional wedding. Not that i don’t love destination wedding, I just prefer the other one as nothing beats the ambiance of a church wedding. But the ceremonies and creativity of a destination are pretty interesting.